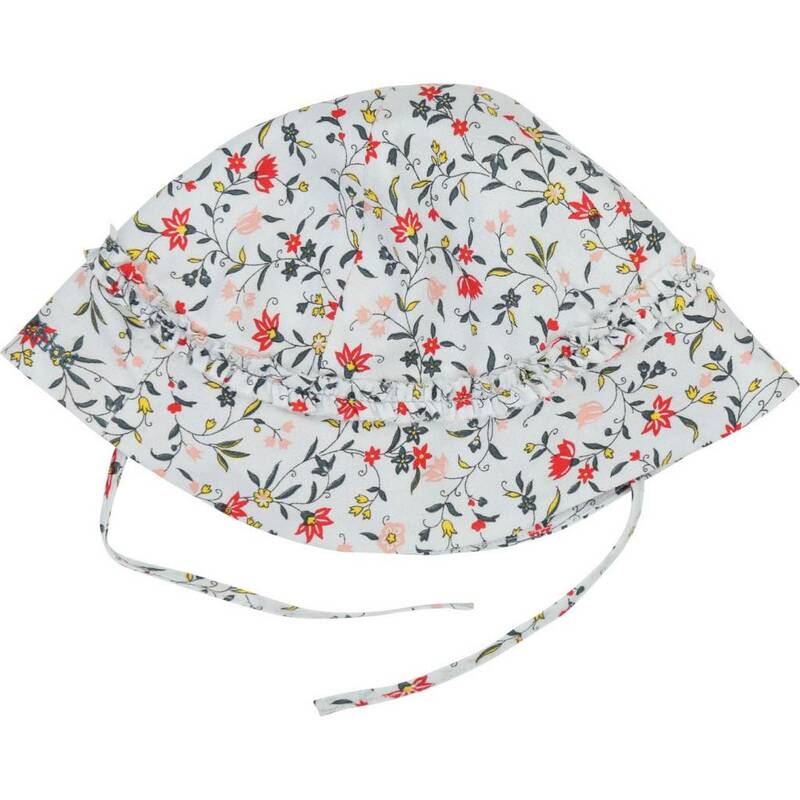 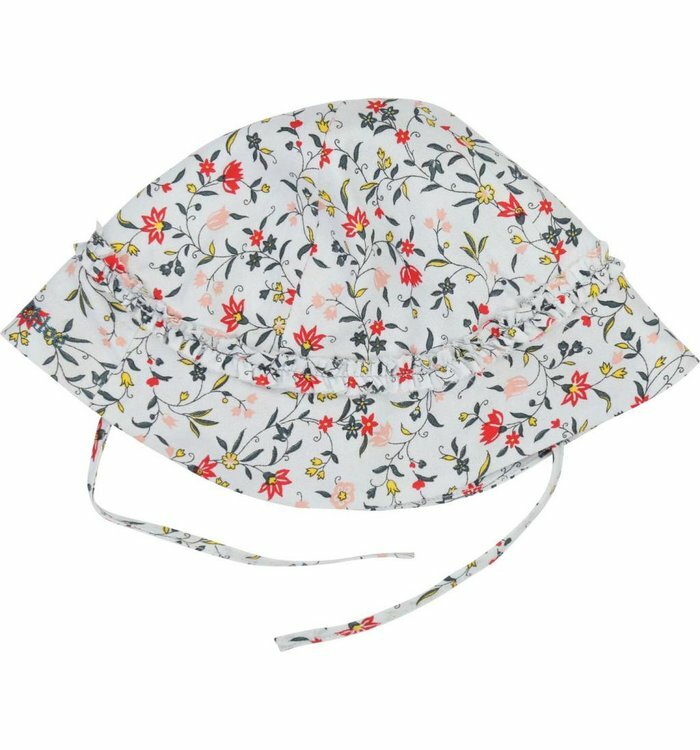 Light blue hat with imprint. 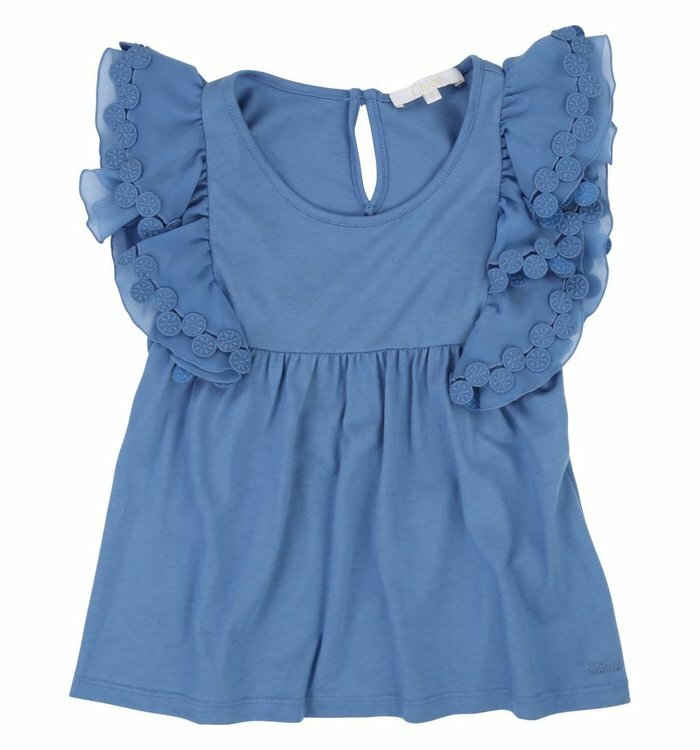 Light blue cotton short sleeve jumper with navy blue imprint and a zipper on the back. 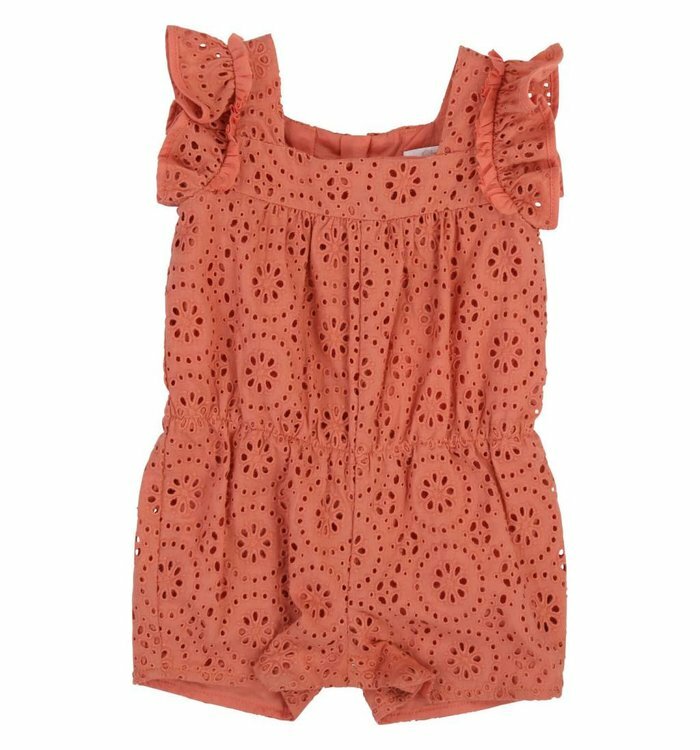 Dark pink short sleeve lace jumper with a zipper on the back. 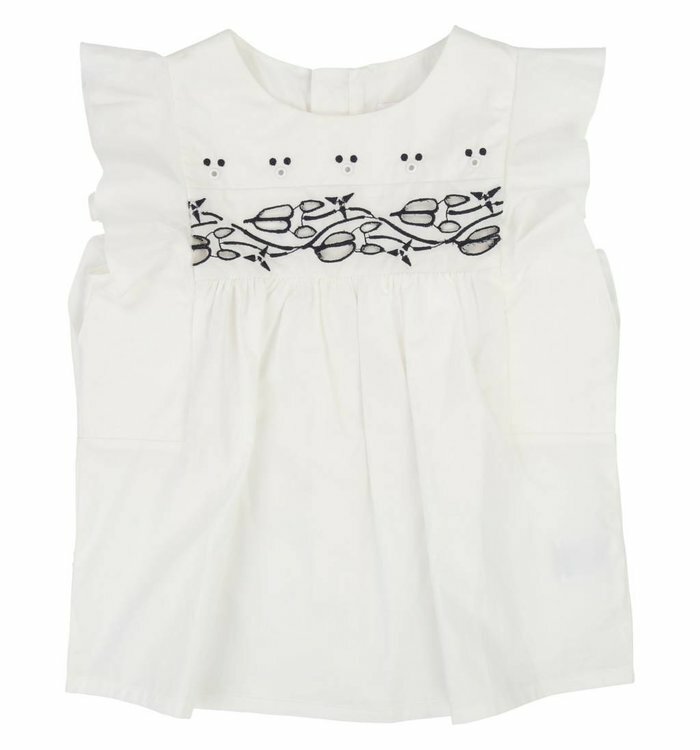 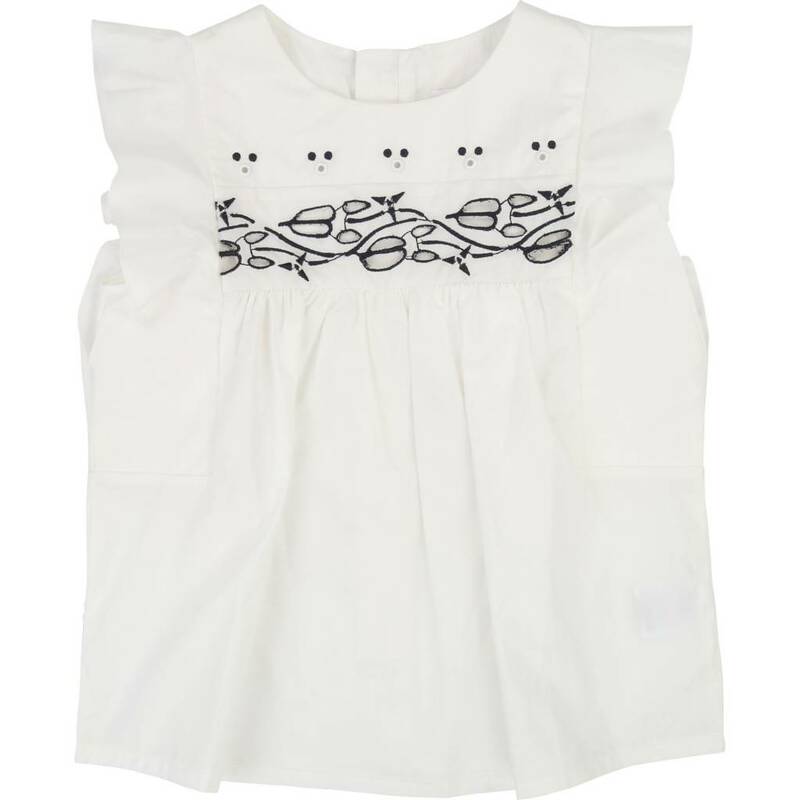 White short sleeve blouse with navy blue embroidery and snap buttons on the back. 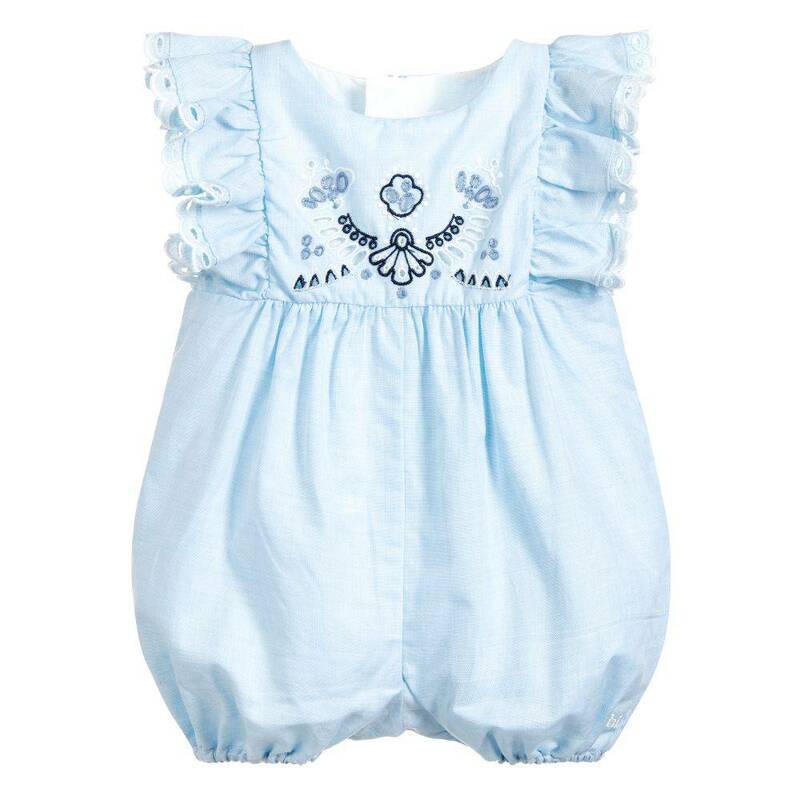 White and blue striped two piece bathing suit with frills on the top. 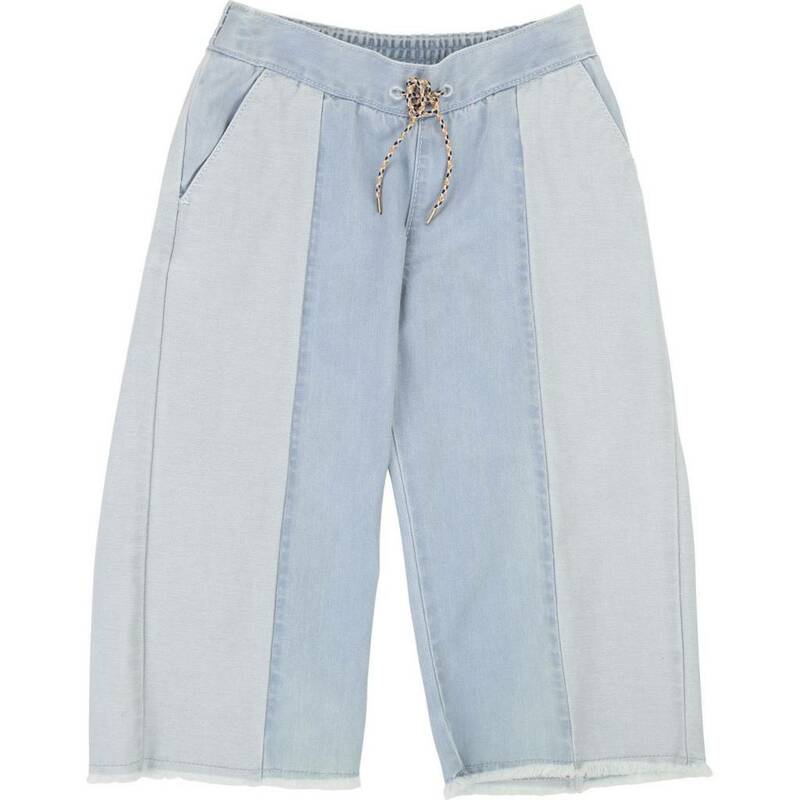 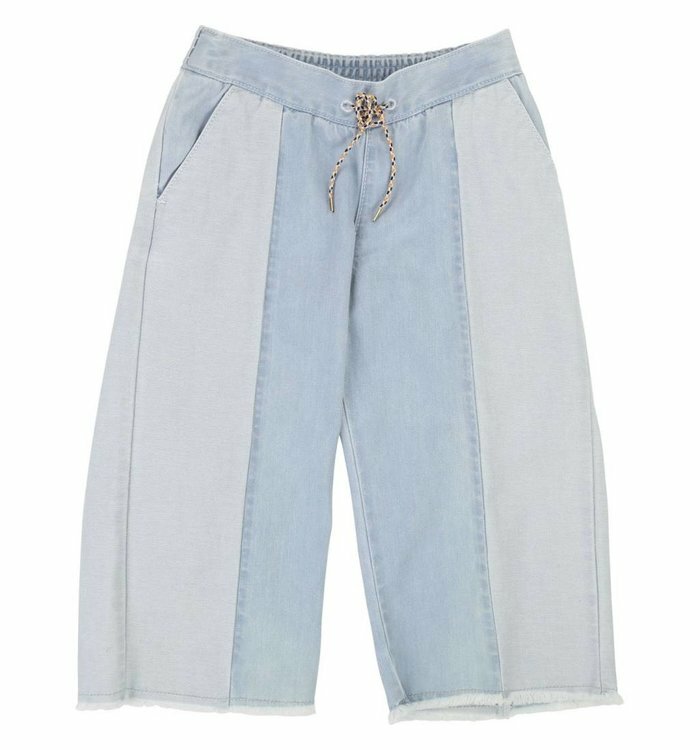 Light blue denim wide leg pants with elastic waistband. 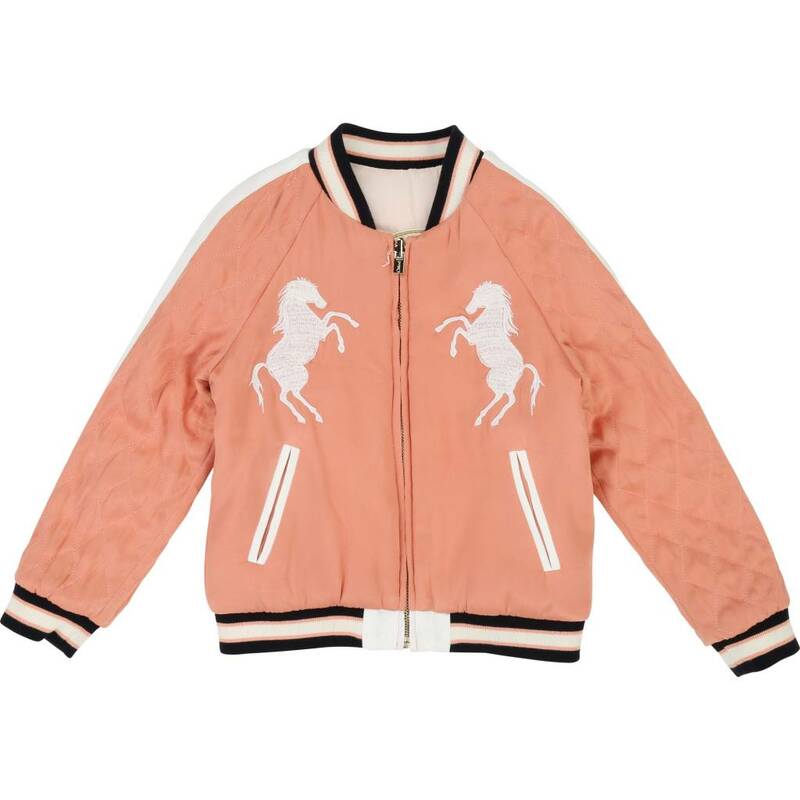 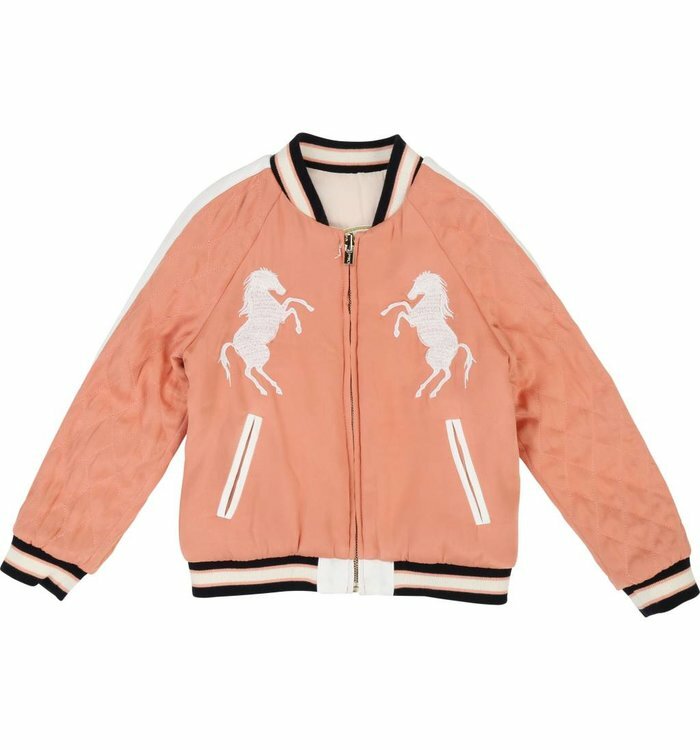 Dark pink satin jacket with white and navy blue stripes, pockets and a zipper on the front. 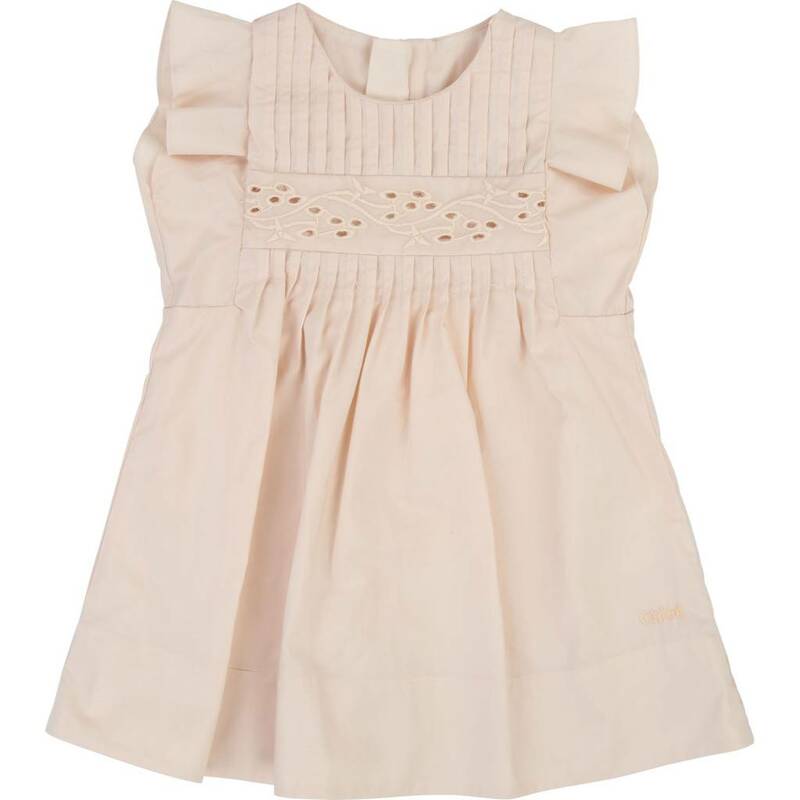 Light pink short sleeve dress with imprint and a bow on the bottom. 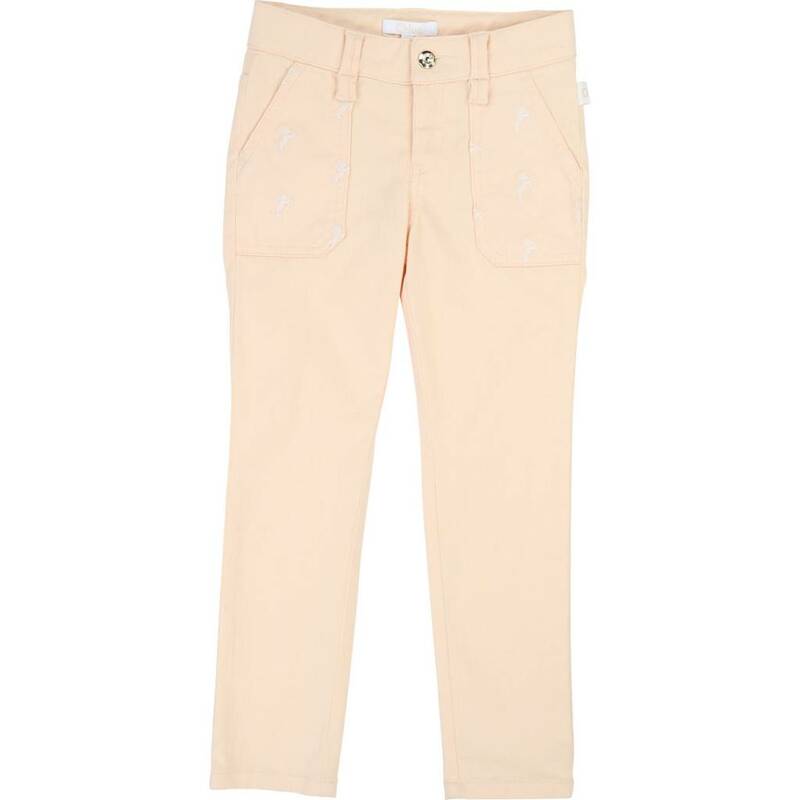 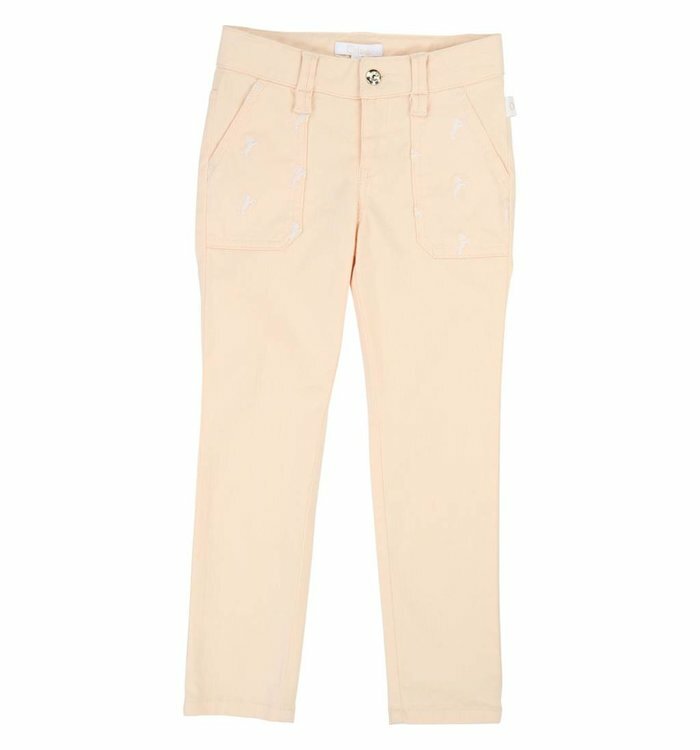 Light pink denim pants with white imprint and adjustable waist. 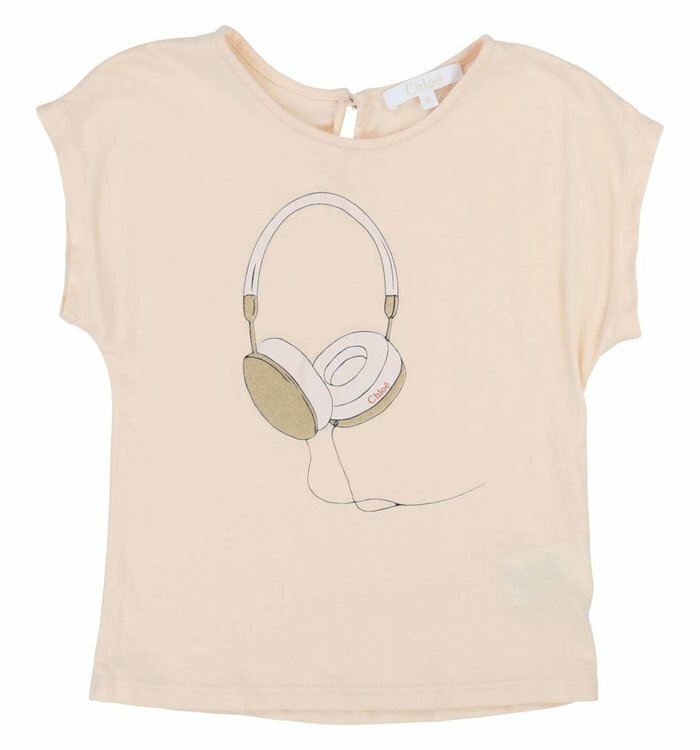 Light pink t-shirt with imprint and a button on the back. 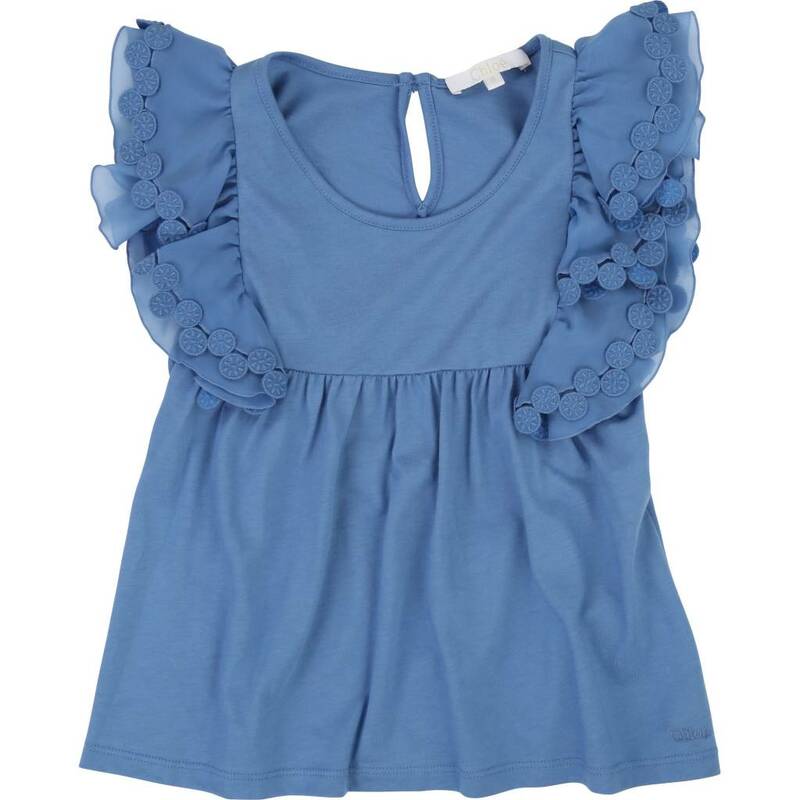 Blue short sleeve blouse with frills and a button on the back. 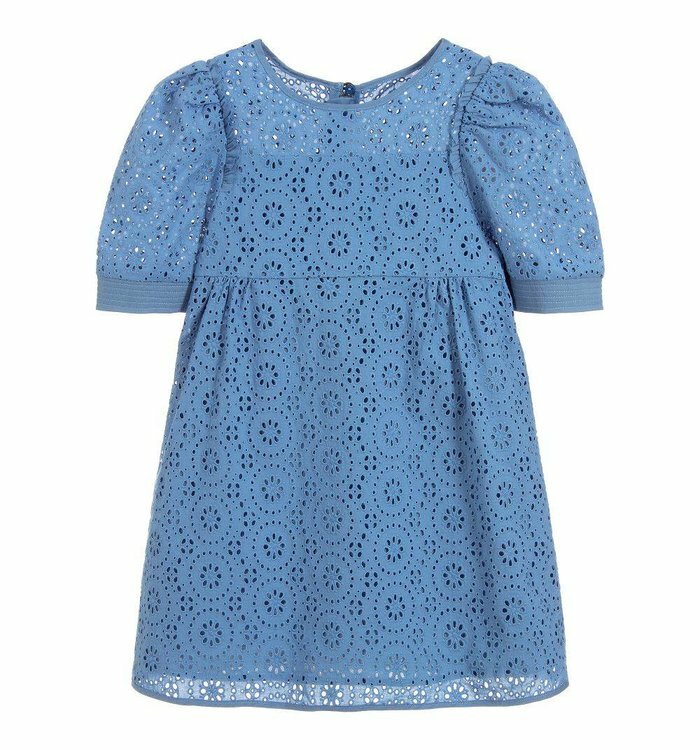 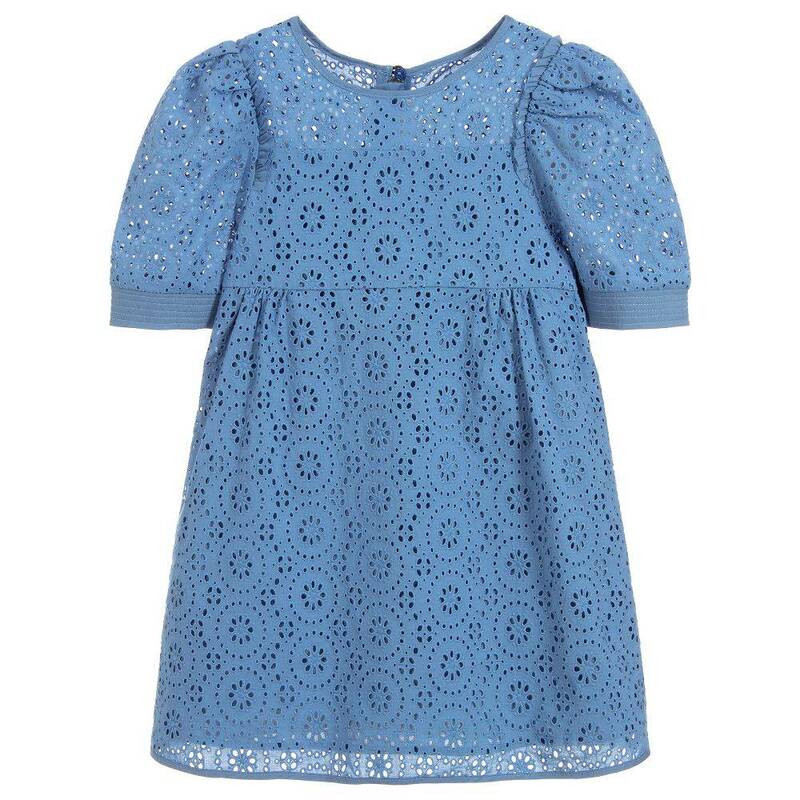 Blue short sleeve lace dress with a silver zipper on the back. 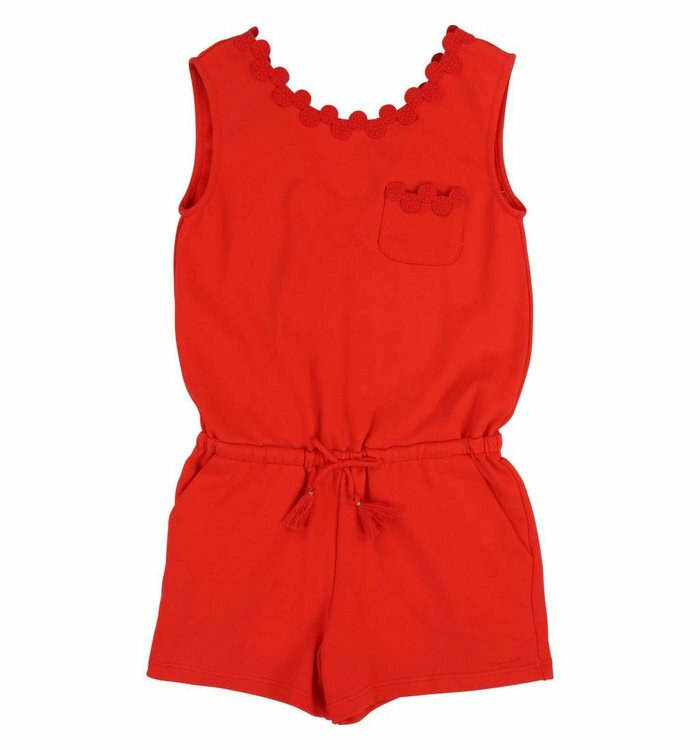 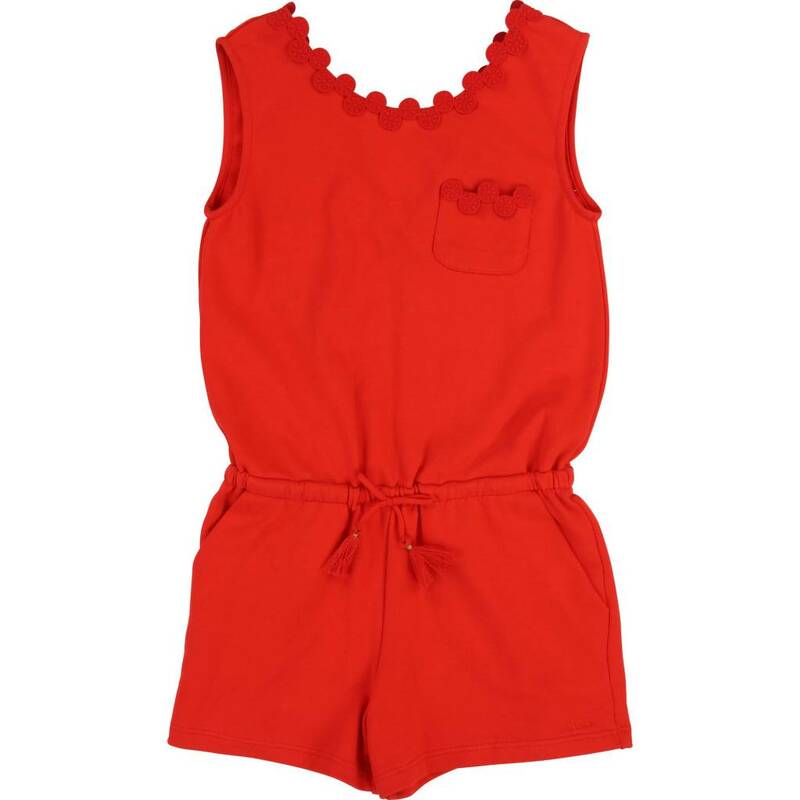 Red short sleeve romper with elastic band at the waist and pockets. 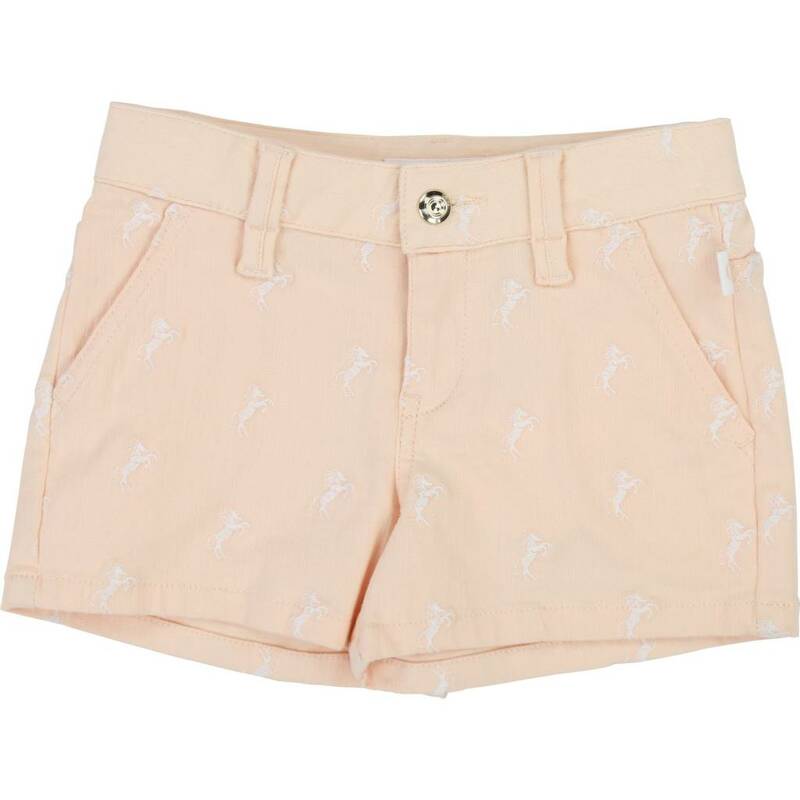 Peach coloured cotton shorts with elastic waistband. 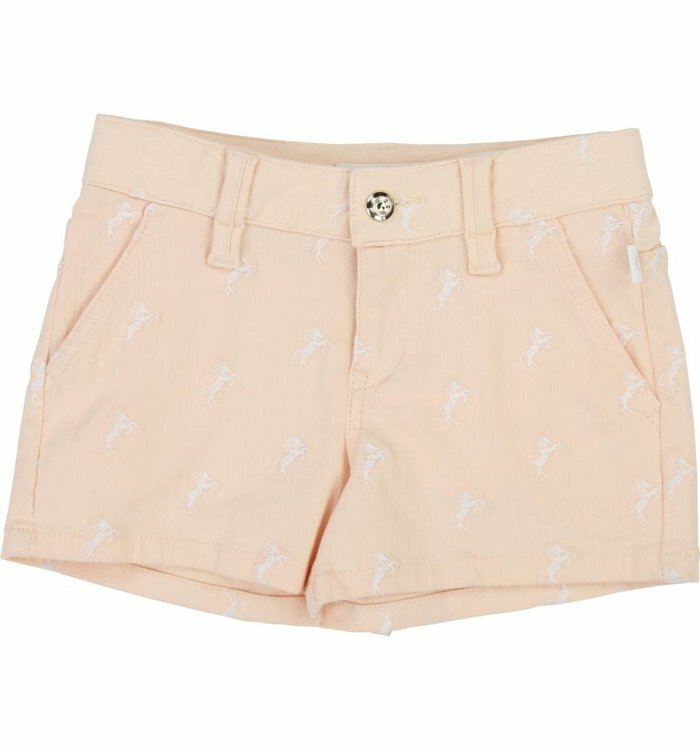 Peach coloured denim shorts with white imprint and adjustable waist. 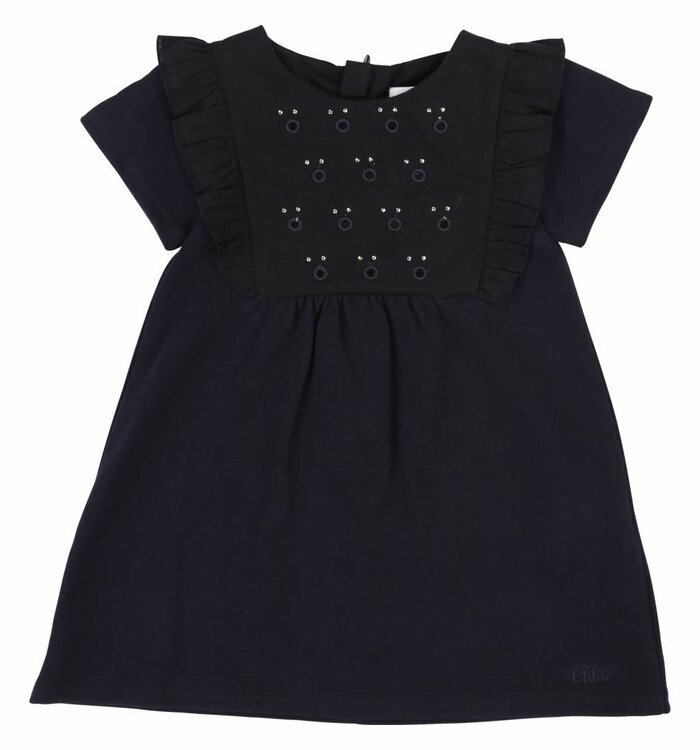 Navy blue short sleeve dress with a zipper on the back. Light pink short sleeve one piece with elastic neckline and snap buttons between the legs. 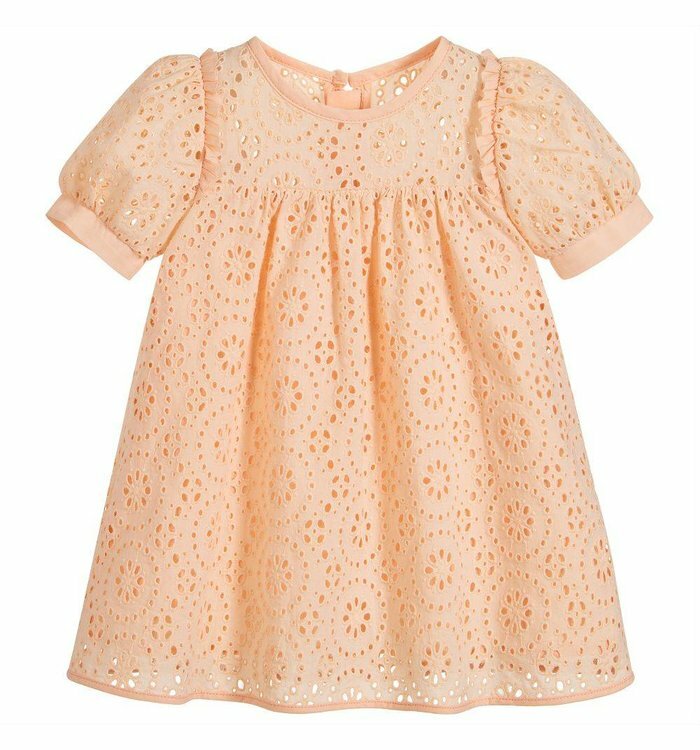 Dark pink lace short sleeve dress with a zipper on the back. 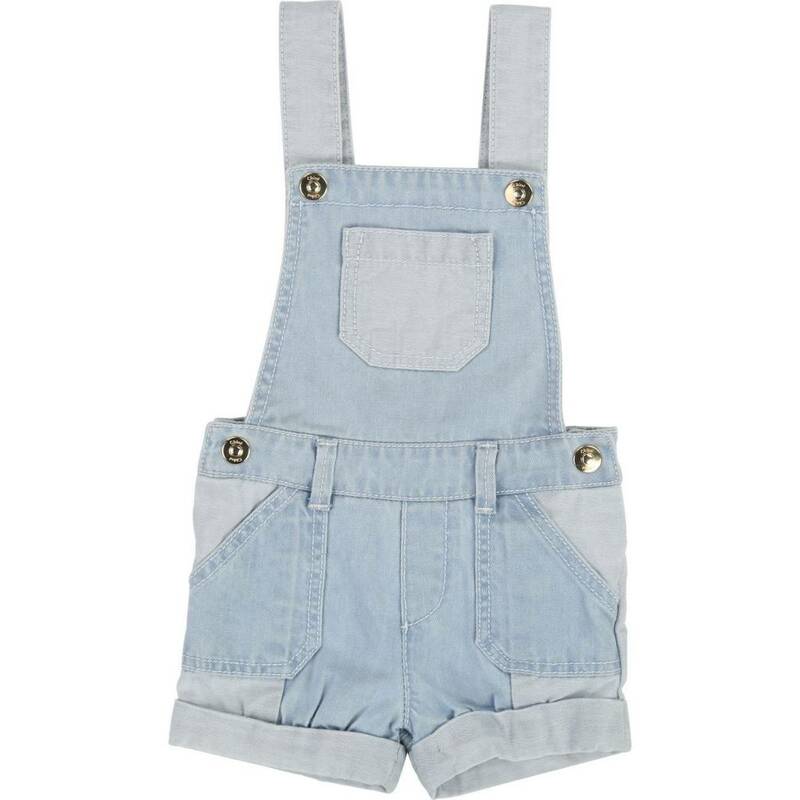 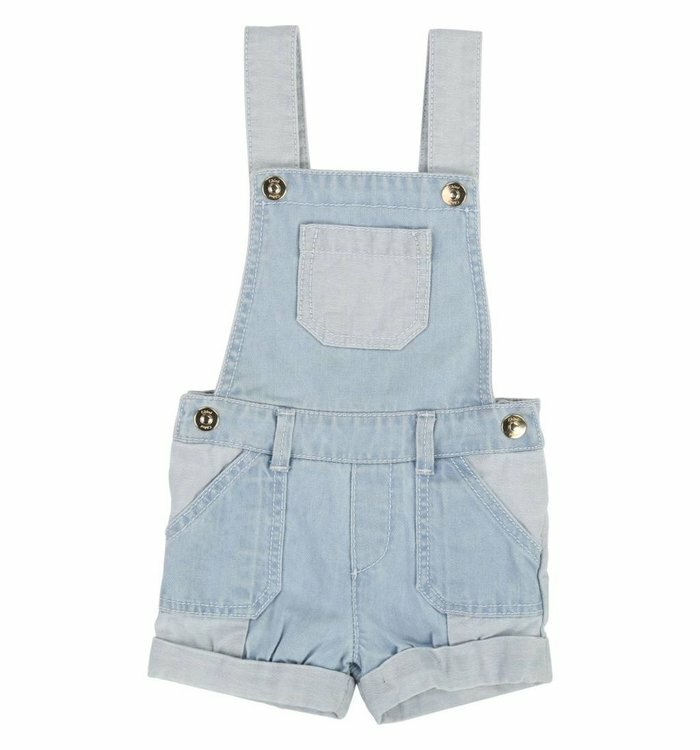 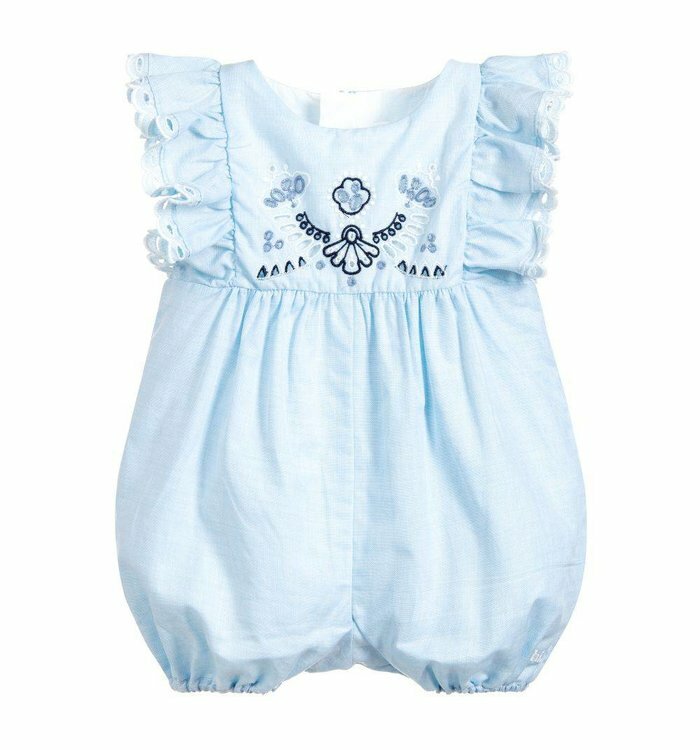 Light blue denim overalls with silver snap buttons and an elastic band on the back. 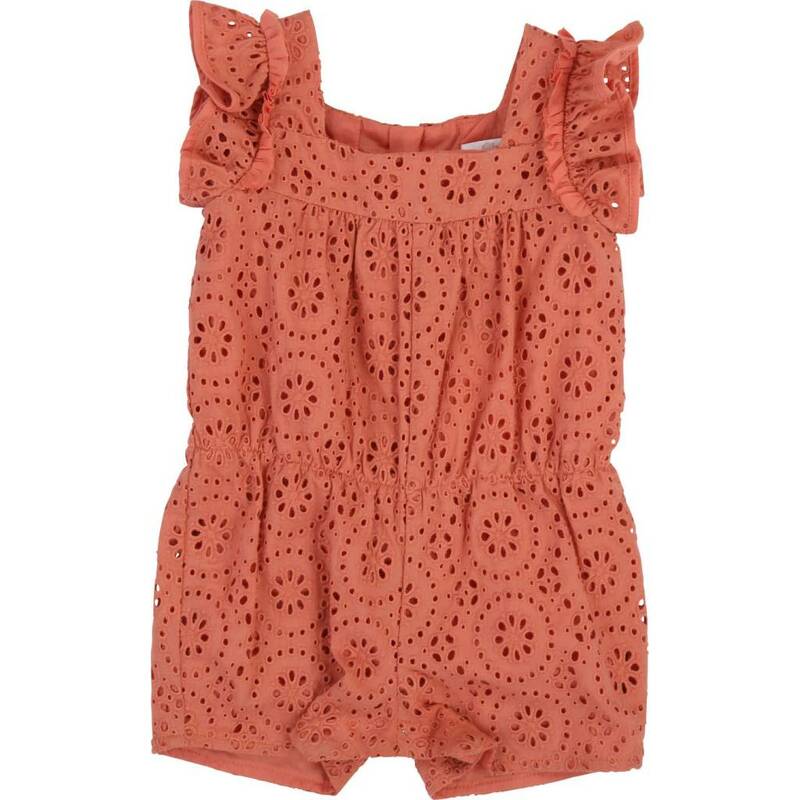 Light pink cotton shorts with elastic band at the waist and frills. 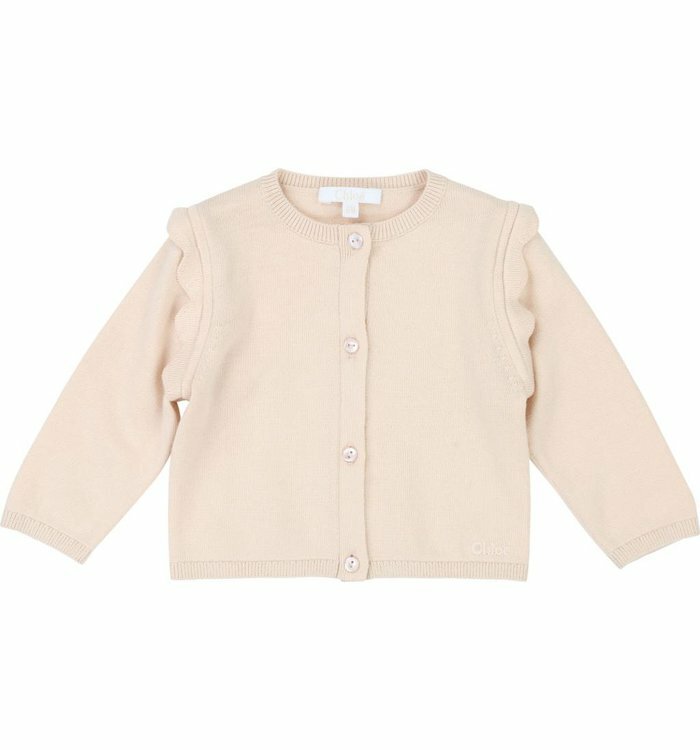 Light pink long sleeve cardigan with buttons on the front. 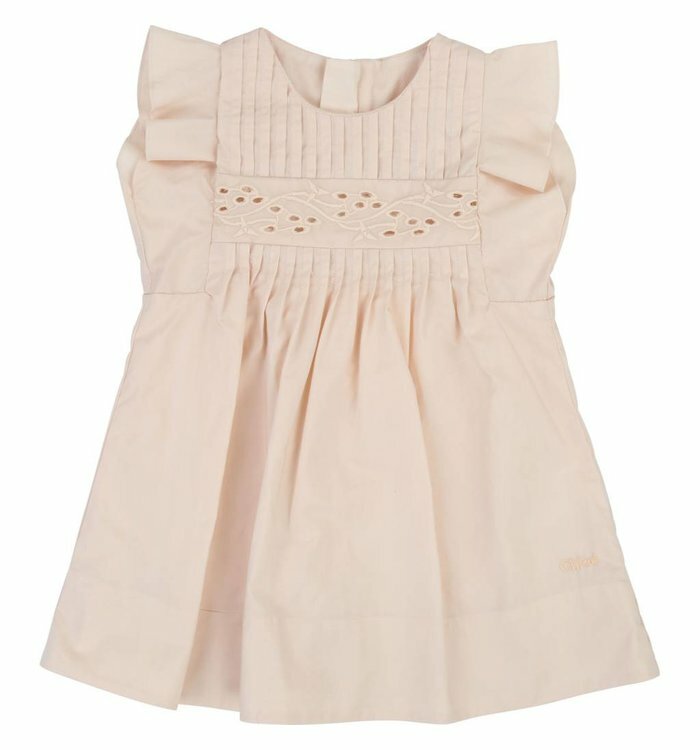 Light pink short sleeve dress with a zipper on the back. 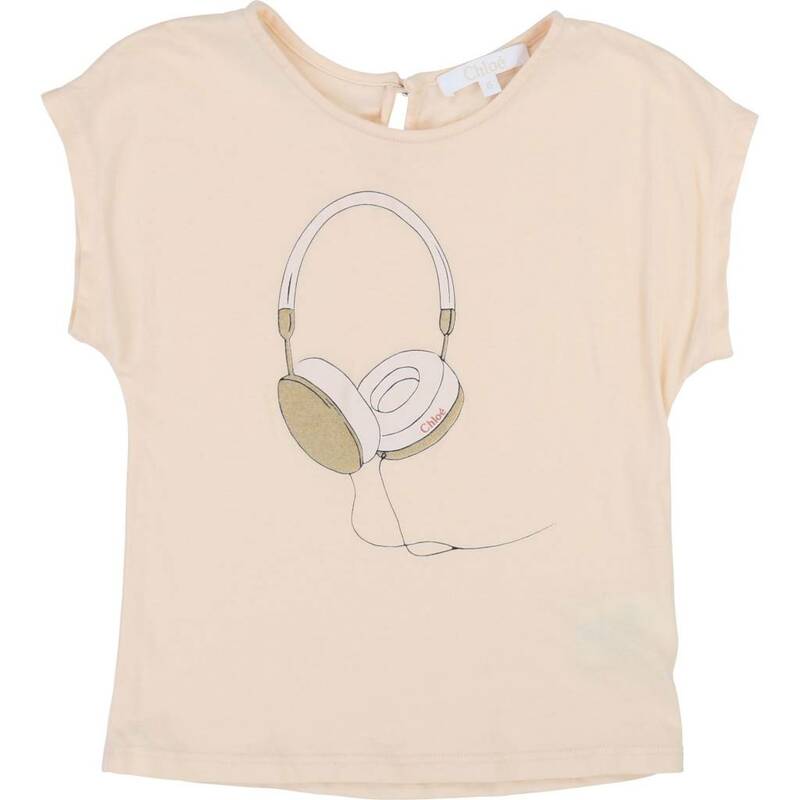 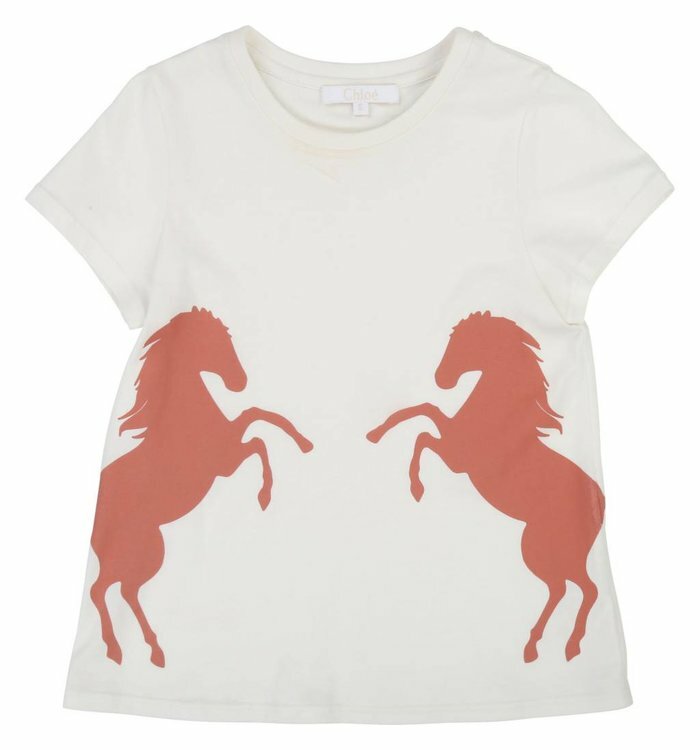 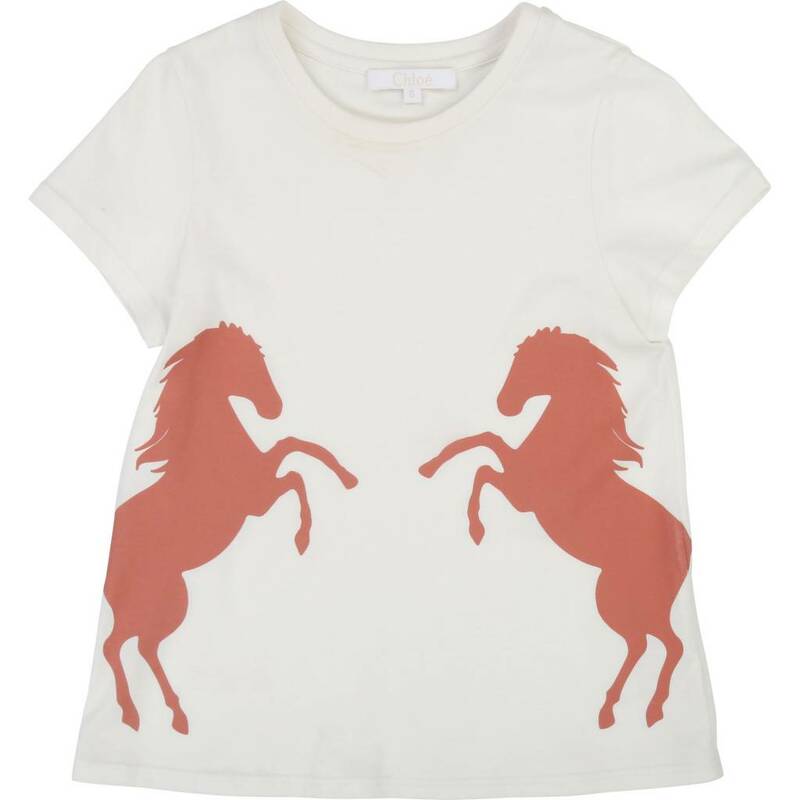 White t-shirt with brown imprint. 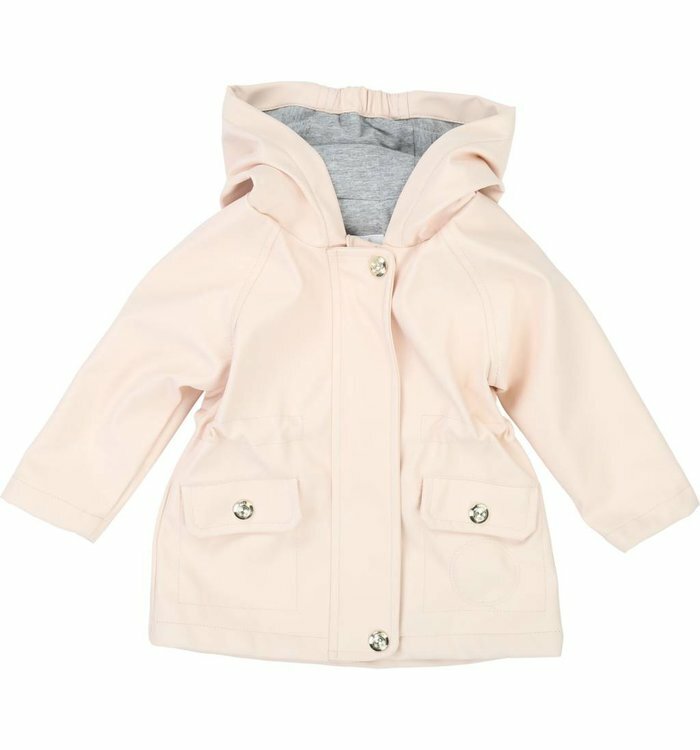 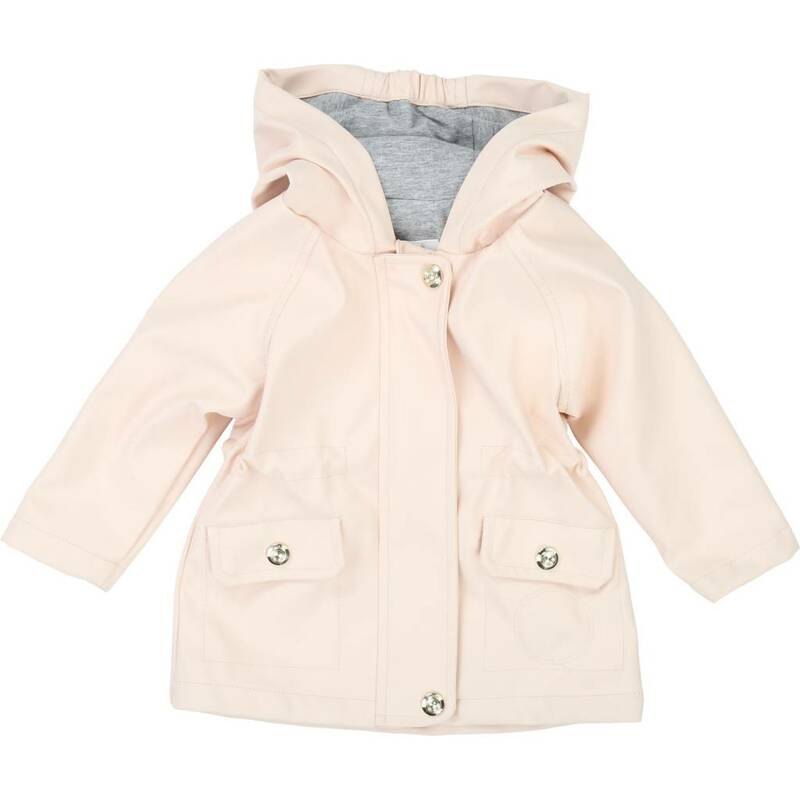 Light pink raincoat with gold snap buttons and a zipper on the front as well as a hood.